Reading the new issue of CoastWatch, I noticed an announcement that the NOAA Hurricane Awareness Tour is stopping in Raleigh at the RDU airport on May 10th. 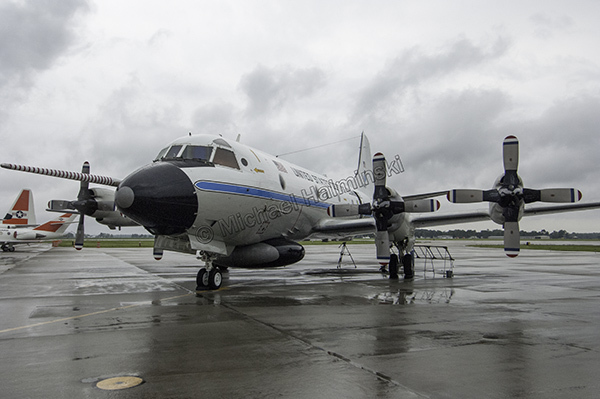 Two Hurricane Hunter aircraft are open to the public from 2 to 5PM, along with technical specialists and air crews to explain their jobs. 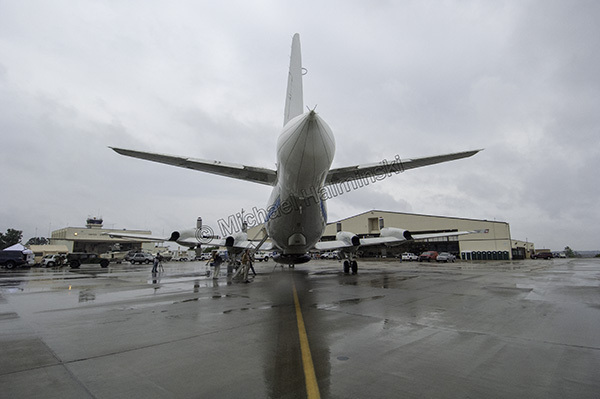 The planes for viewing will be a US Air Force Reserve WC-130J and a NOAA G-IV. Staff from the National Weather Service Office in Raleigh, emergency management personel, American Red Cross, and North Carolina Sea Grant will also be on hand. In 2007, I went to the Coast Guard Air Station in Elizabeth City to check out a similar “open house”. 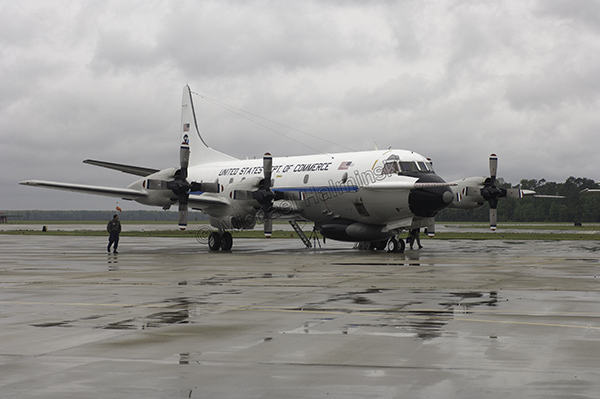 A crew had just landed one of two existing Lockheed WP-3D Orion aircraft used in weather reconnaissance. 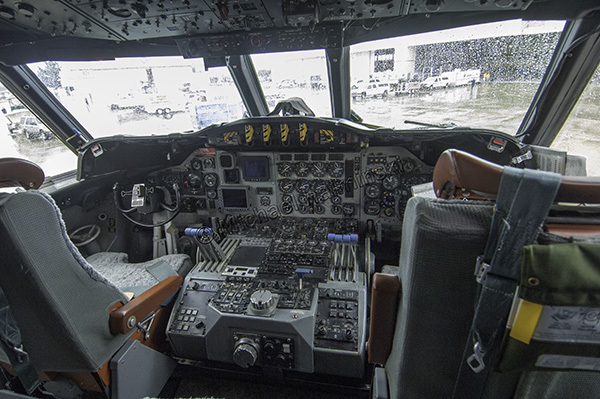 It was fascinating to see everything up close, personal, and learn from the scientists, pilots and technicians that fly these machines into powerful storms. The experience must be exhilarating yet perilous, but I think I’d go up in a heartbeat. 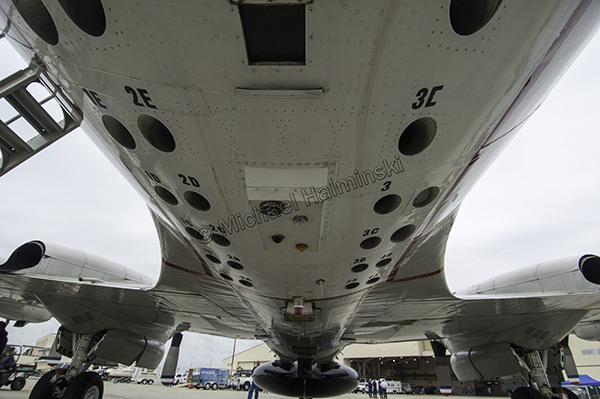 The Orion is powered by four Allison T56-A-14 turboprop engines rated at 4,600 shp each. The striped pole on the nose is a sample collector. The nose is also equipped with radar. Doppler radar is built into the tail section. 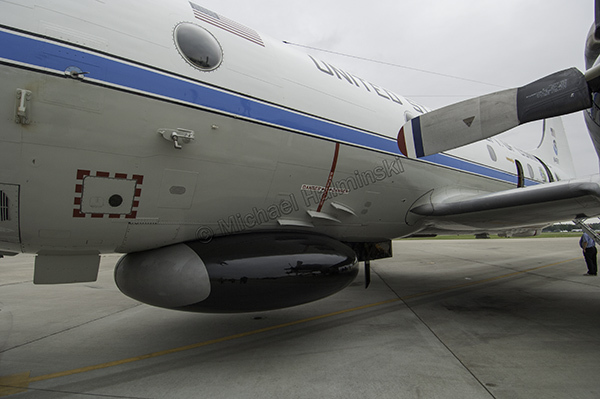 Additional radar is located on the bottom of the aircraft. Radar scans the storm vertically and horizontally for real-time analysis. 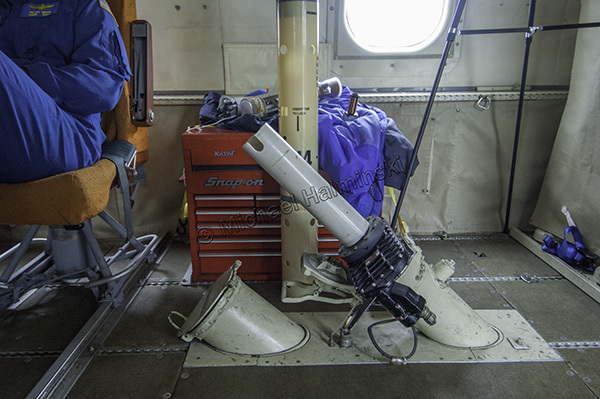 Underneath are launching tubes that fire out buoys with transmitters to record ocean temperatures at different depths. 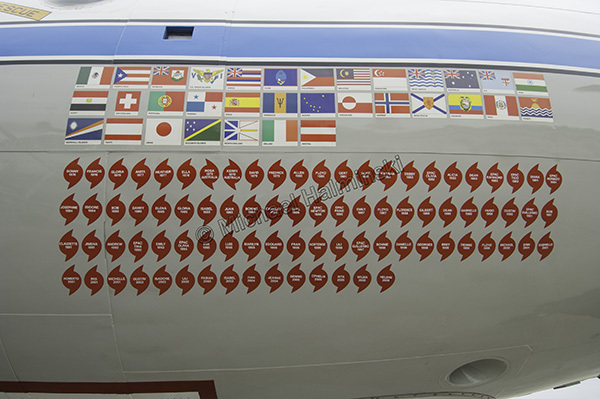 Missions are documented on the fuselage, and I noticed quite a few familiar names. Two in the top row were Australian cyclones Rosa and Kerry in 1979. Occurring in the southern hemisphere, they rotate the opposite way ours do. Before I entered the aircraft, Cdr. Tom Strong explained the workings of a dropsonde. 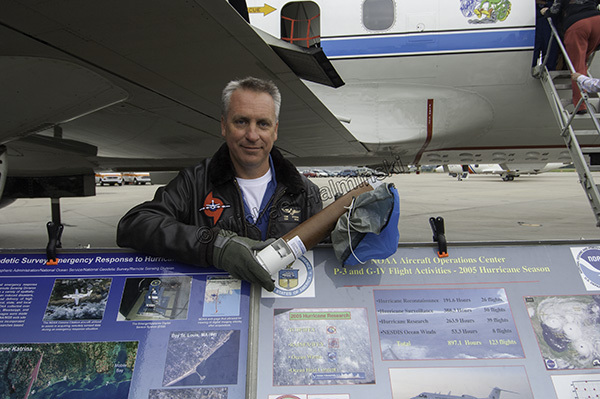 The receiving end of the dropsonde tube extends well into the plane. 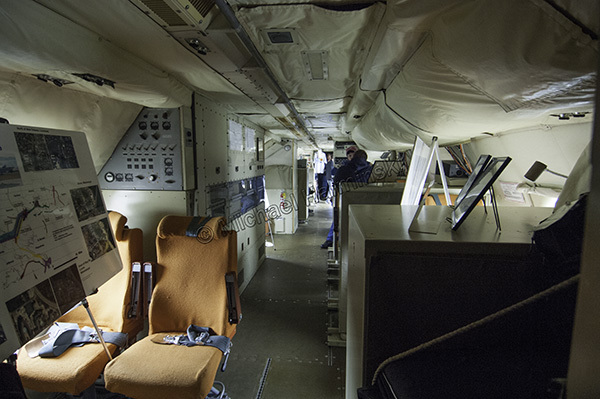 Inside is a flying science lab for gathering vital information. 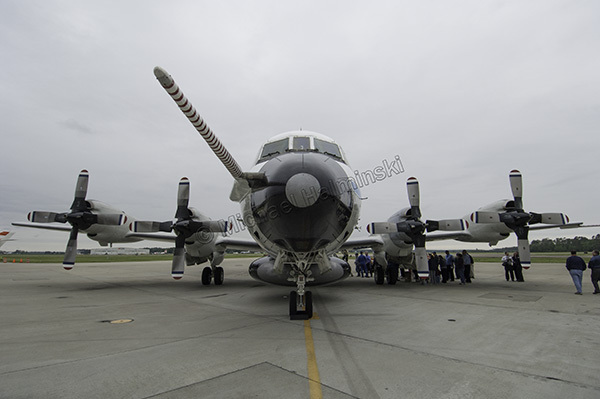 These P-3 aircraft, first introduced in the 60’s, have been upgraded and highly modified. The service they provide makes a difference in public preparedness, and it’s information I’ve used numerous times on Hatteras Island. This entry was posted in aircraft, military, storms, Weather on April 21, 2017 by j0jgvm89bj.